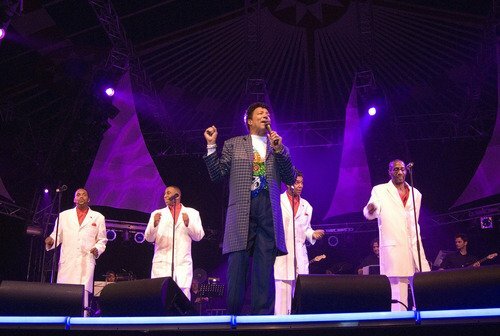 Richard Street, a member of the Temptations for 25 years, has died aged 70. Richard Street’s wife says he died on February 27 at a hospital in Las Vegas after a short illness. He sang with Temptations members Otis Williams and Melvin Franklin in the 1950s but didn’t join the group until 1971. As part of the group, Richard Street had number of hits including the Grammy award-winning song, Papa Was a Rollin’ Stone. Born in Detroit, Michigan, Richard Street was the first member of the band to be born in the city with which they became synonymous. His death comes only 10 days after his band mate, Otis “Damon” Harris, who died on February 18 at the age of 62, after a 14 year battle with prostate cancer. Richard Street performed with the band until 1993 when he left due to alleged personal tensions with Williams. He went to hospital five days before he died, suffering from back pain and breathing difficulties. Doctors found he had a clot in a lung. Richard Street is survived by his wife, two sons and two daughters.